Do you want to learn the secrets of the Colosseum? Or discover the art treasures of the Vatican and St Peter’s Basilica? Rome has almost 2800 years of history from its legendary foundation by Romulus and Remus to its position today as capital of modern Italy. With its wealth of ancient monuments; many spectacular squares, fountains and churches; evocative picturesque alleyways and of course the exquisite food…. Rome has got something for everyone! It will leave you wanting only one thing - to throw a coin in the Trevi Fountain and wish to come back to the Eternal City! An Englishman in Rome, Stuart has been enjoying life in the Eternal City since 2001, when he left his native London. Having already qualified as a licensed "Blue Badge" Tourist Guide in London in 1998, Stuart is proud to have also passed the Provincia di Roma exams to become a licensed Tour Guide of Rome, becoming one of very few people to hold both qualifications. While at university Stuart broadened his horizons with work exchange programs in Canada and the USA. He has also lived and worked in Australia, France, Austria….and now Italy. Stuart's love of history and language brought him into the travel industry in 1992, leading American educational tour groups all over Europe. This instilled in him the idea that a Tour Guide should be both informative and fun - not a dusty, dry professor, but a friend who can share the local traditions and amusing anecdotes as well as the history, art and architecture of the city and its monuments. Born and raised in Rome, Nicoletta has lived, studied and travelled extensively abroad. She studied for two years in the USA, and has also lived in France, the UK and Ireland. As a result she is fluent in English, French as well as her native Italian. While studying Art History at the University of Rome, Nicoletta specialized in Renaissance Art and Ancient Roman/Greek Archaeology. In 2001 she became a licensed Tour Guide of Rome. Since 1990 she has also worked as a Tour Director, leading North American, British and French groups all over Italy and around Europe, and as well as a co-ordinator at meetings of the United Nations agencies based in Rome (FAO, WFP and IFAD). Nicoletta's international outlook, her knowledge of art and of Roman history coupled with a passionate love of her native city will allow you and your companions to truly discover Rome in a way that is both interesting and memorable. Why choose Rome Personal Tours? 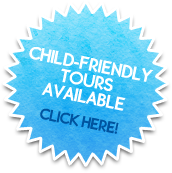 As licensed professional Tour Guides we will show you more than just the main attractions. Our tours will unlock the mysteries of ancient Rome, will explain the significance and symbolism of the art and architecture and also show you the “real Rome” – taking you off the beaten path to see the wealth of hidden gems sprinkled around the city; sharing amusing anecdotes to bring the history and art to life. And not forgetting showing you where the best coffee or gelato is to be found; where to find great spaghetti and pizza, or just where to enjoy a relaxing drink with a beautiful view. With many years experience in tourism we can tailor our tours towards your specific interests. Whether you choose a panoramic tour of the city’s highlights, or a more in-depth look at the art and architecture, your Personal Tour of Rome will be unforgettable. ROME PERSONAL TOURS offers a range of standard half-day and full-day Guided Tours, but of course we can personalise any tour to suit your specific interests. 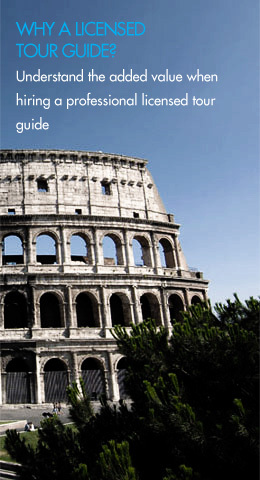 Choose from this selection of our most popular tours of Rome. We can plan your tour of Rome to include the sights YOU would like to see…. With us you are not tied down to a specific itinerary. We can cater for groups of any size. Only one day in Rome? Let us make it unforgettable for you.